I would love to say that the fishing forecast for this weekend is looking good, but its not. Chesil will be close to unfishable, and the water will be coloured. It is no sea to be going out on a boat and the Mullet have not shown up yet. So where can you go for your fishy fix? I fished Portland Harbour yesterday on a couple of guiding sessions. The water in the harbour is a lot clearer than anywhere else and we did manage to get a couple of Bass and a Garfish on lures. Whilst I was wading I could see a few small Flounder close in. Other marks worth trying are Windspit, Preston Beach in Weymouth and Swanage Pier. I am running the first of the River Cottage Shoreline courses today. My normal choice of venue would be Chesil, but that is going to be almost impossible, so I have opted to fish the North Wall at Lyme Regis. This should offer a good level of protection and we will have the wind at our backs. I will let you know how we got on. Chesil Beach: Rough with a 2m swell and fairly coloured. 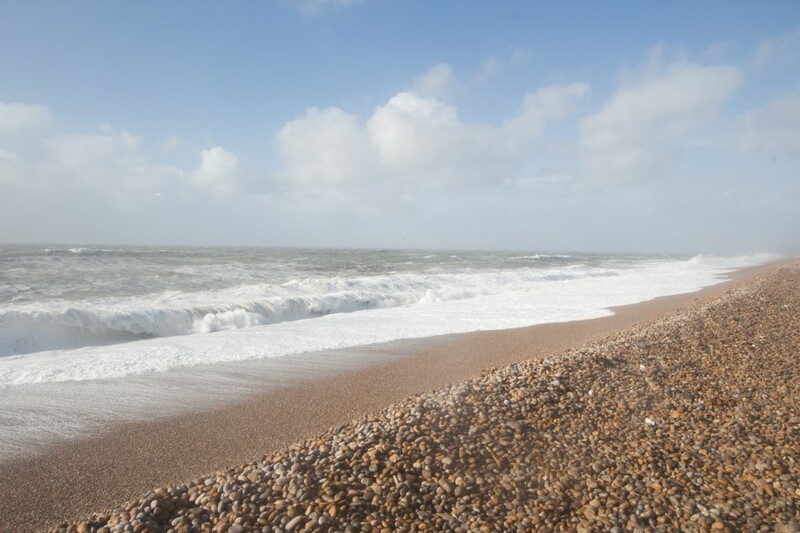 Chesil Beach forecast: The beach will be just fishable today (Friday), but looking at the wind forecast for tomorrow and Sunday, it is highly unlikely that it will be safe enough to fish. Waves will be well in excess of 2m and the surf run off will be long. The rough conditions are likely to bring in Bass today. Dogfish and pout will also show in the coloured water. I will update this section during the weekend as the weather changes. 8 Responses to "A poor weekend of fishing ahead"
Fraser PLEASE!! If I think too much about how poor it could be I might not even go out at all this weekend 🙂 and some people accuse me of hyping the fishing up! It is not all bad, the water is warm and by Wedbesday the tide should be building and the wind may be dropping. Not sure what the Mayweed will be doing…. Fished Seatown on Friday afternoon into evening and although a bit on the rough side it was a bit more sheltered and the fishing was good with a couple of rays and a few smaller bits and pieces to keep us amused. Might be a weekend option. in the tide did not help things looking forward to the next trip. Could you please tell me that the bloom has started to clear? I know it is on patches now on the Torbay areas. Love reading your write ups and started to depend on them now like the weather forecasts on tv. It does seem to be clearing, but we will need a few days of settled weather to see if it comes back. As the temperature has risen steadily it might not bloom any more.